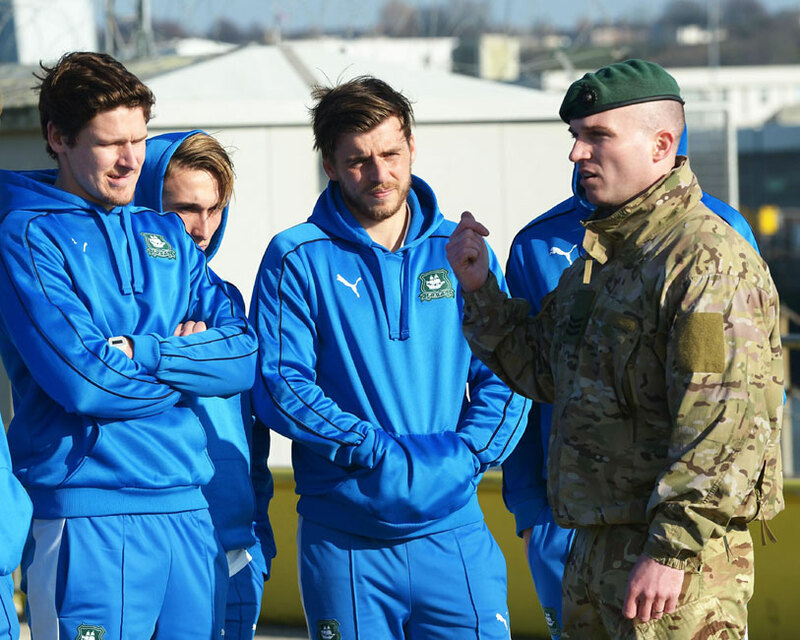 Royal Marines showed footballers from Plymouth Argyle’s first team and their manager behind the scenes at Devonport Naval Base in the city. 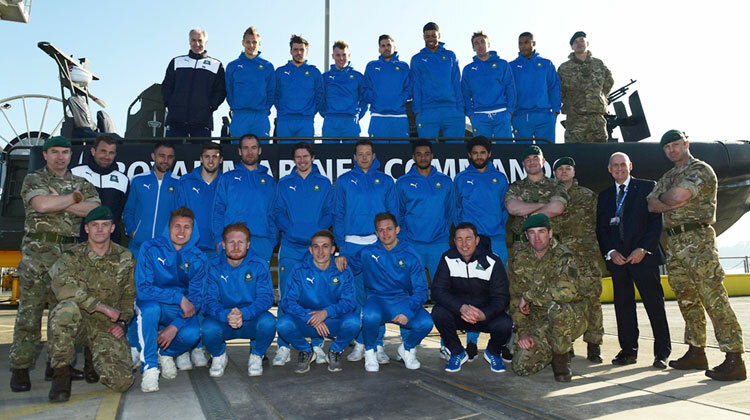 The high-riding League Two team is playing AFC Wimbledon at its ground Home Park for its annual Armed Services Day match on Saturday, April 9. 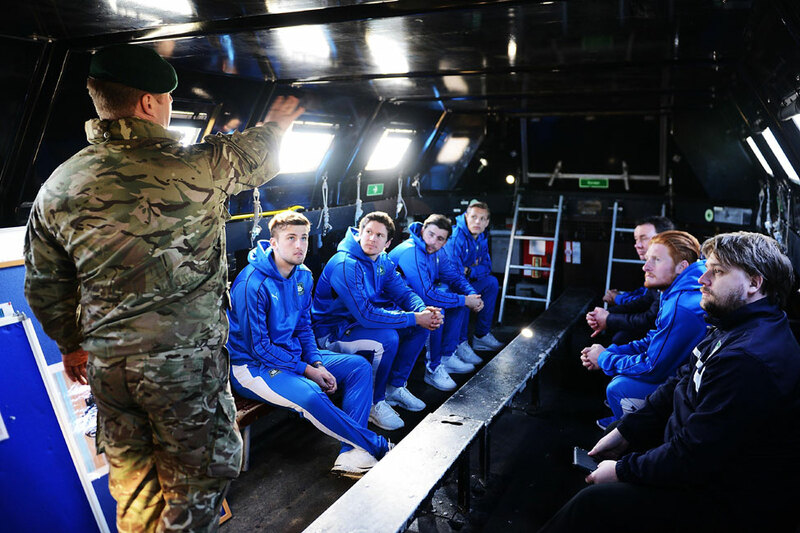 The visit helped acquaint the players with the work of the Royal Marines ahead of the event – a tribute all armed forces personnel. Marines of 1 Assault Group, the small boat experts who are serving worldwide in peacekeeping and conflicts – ranging from the Ebola crisis in Africa to Iraq and Falklands wars from proudly showed off their weapons and vessels. 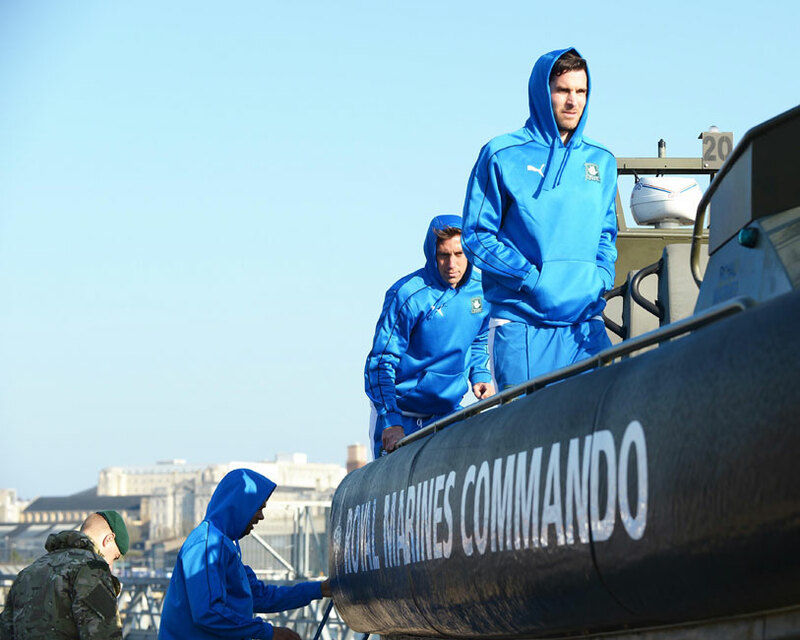 The footballers were allowed to clamber over vehicle and troop carrying landing craft and small rigid inflatable boats as their roles were explained. 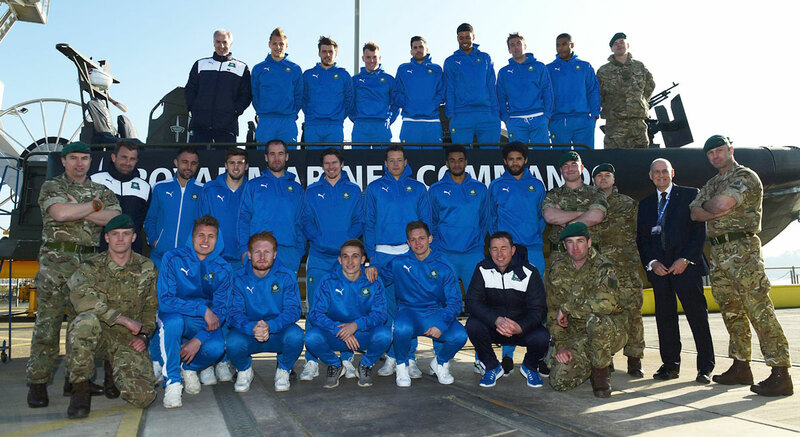 Club Manager Derek Adams said both the club and the military were at the centre of Plymouth’s community and had a mutual admiration for each others’ roles – with the Armed Services Day match a symbol of this understanding. He said: “It’s important the players and all at the club recognise what an important job the Royal Navy and Royal Marines do, especially as they are such a valuable part of the country and Plymouth community. This visit has given us all a valuable insight into the Marines and enabled us to appreciate more what it takes to do these difficult jobs in the military. The match, sponsored by MOD industrial partner Babcock, is a tribute to the commitment and sacrifice of all those who serve in the Royal Navy, RAF and Army. Funds-raising will take place for the services charity SSAFA (the Armed Forces charity, formerly known as Soldiers, Sailors, Airmen and Families Association), providing lifelong support to serving men and women and veterans from the British Armed Forces and their families or dependents.